I have tried many pine tar sticks because of the convenience and the portability, but many have not stacked up. They either don’t provide enough tack in cold weather and melt in hot weather. Not all pine tar is created equal. You can really tell a difference in extreme temperatures. Most don’t provide enough tack in cold weather and melt in hot weather, getting slick rather than sticky. The best pine tar can still perform in these conditions. These four are the best pine tar sticks. Playing this summer in Texas during the dead of summer really separated the average pine tar sticks from the high performance ones. In extreme summer heat with humidity, most pine tars clump and run. Mota performed the best… staying on the bat really well, giving a long lasting tacky grip. So, like I said, many, many pro guys use this type. Good in cold and hot weather. 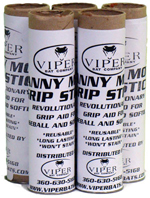 You can find Manny Mota Grip Stick from Hitting World or here from Amazon. It’s $13.95 at both places. Like I said, the true test of pine tar quality is when the weather is very cold or very hot. My first experience with Pelican Bat Wax really surprised me. It was 38 degrees outside, which is usually when most pine tar sticks let you down. It felt the same on my bat in 38 degrees as it did in a 65 degree batting cage. 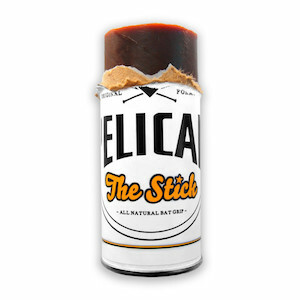 So far I’ve tried two different types of pine tar sticks from Pelican Bat Wax and they exceeded my expectations. My favorite is the Pelican Pine Stick. It’s packaging is different from most pine tar sticks, and I really like how much easier it is to apply. This a very cool company based out of San Fransico. Their products are hand-poured, all natural ingredients. A high quality product. Click here to see a detailed product review. Both of these available to buy from Hitting World. Very sticky and high quality. All three are similar but Tanner’s Grip Stick may be the best pine tar stick. Stays tacky in hot and cold weather. 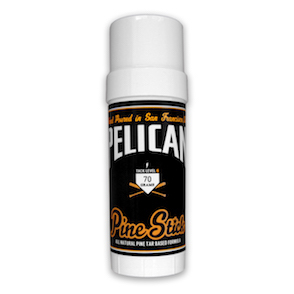 Liquid pine tar is another way to apply tacky grip to your bats. The liquid pine tar is applied to a rag that you can wrap around the bat handle or a little above where you grip the bat. Liquid pine tar can be a little messier than the stick but it is personal preference. If the liquid tar is not as sticky as you would like, add some rosin directly on top of the tar on the bat. The rosin will help make the tar stickier. Pine tar on your bat grip can get clumpy and needs to be removed periodically. A good pine tar remover comes from 2Bwax. 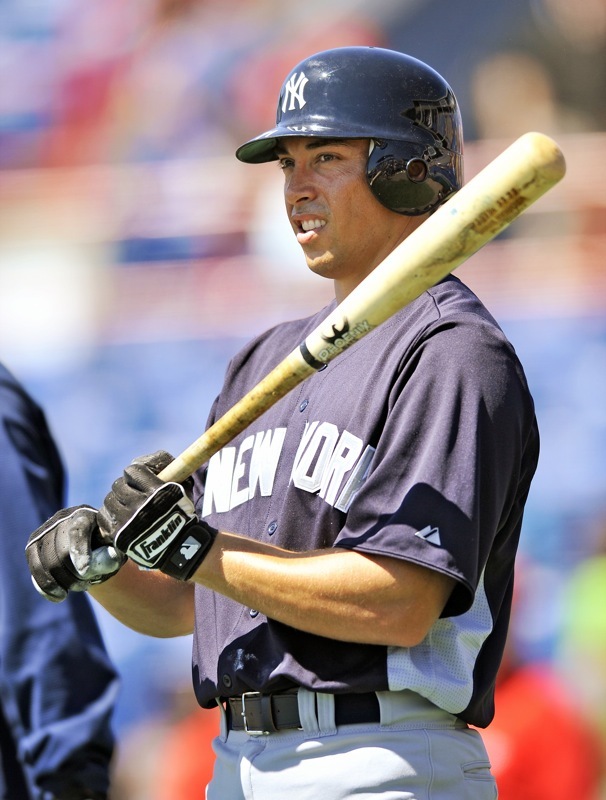 Before getting my hands on their spray bottle, I would use adhesive remover to take the pine tar off my bat. This is more convenient and works just as well. Rosin is an important thing to have in your baseball bag (see the video below if you have questions for how to use rosin on your baseball bat grip). 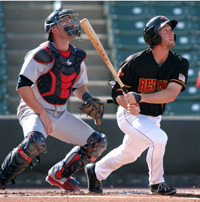 What is the best rosin to use for baseball? All rosin is about the same. 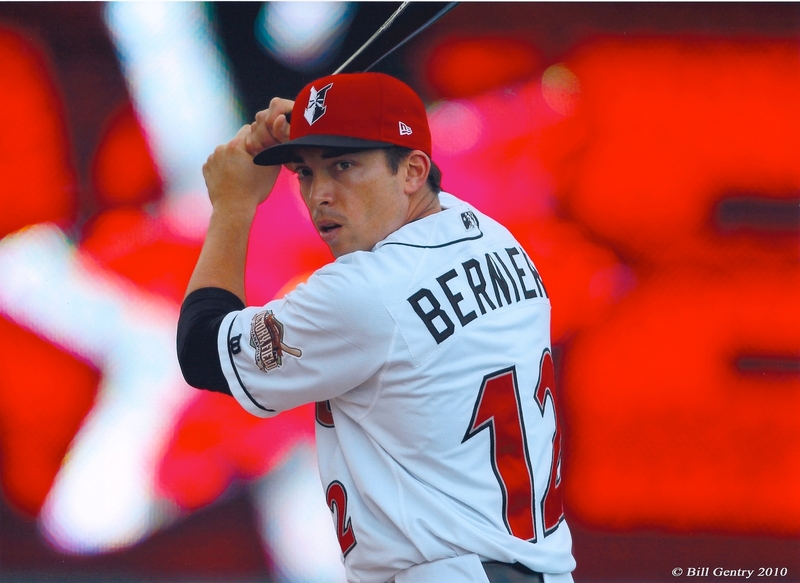 Whether it is labeled for pitchers or hitters, it is still the same stuff. With this in mind, you have 2 options (1) buy a ready-to-go bag or or (2) buy loose rock rosin so you can make your own. For teams – To buy loose rock rosin, you will probably need to buy in bulk. This only makes sense if you are buying for an entire team for an entire year. If you are a player just buying rosin for yourself, then one little rosin bag should last you all season. If you have access to loose rock rosin through your team, then you can just take some and put it in a sock. 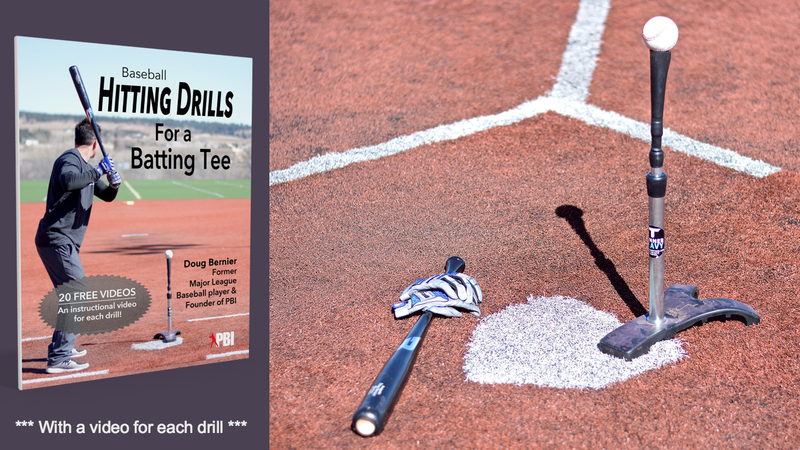 If not, you can buy a ready-to-use bag that will work for your batting grip or throwing grip. Where can I buy baseball rosin? “In baseball, pine tar is applied to the handles of baseball bats. Because of its texture, pine tar improves a batter’s grip on the bat and prevents the bat from slipping out of the batter’s hands during hard swings. 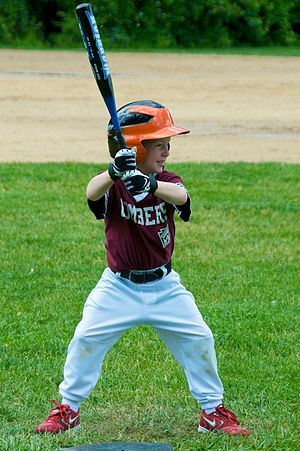 It also helps hitters because they do not have to grip the bat as hard and in result the hitter gets more “pop”.Rule 1.10(c) of the 2002 Official Rules of Major League Baseball states that batters may apply pine tar only from the handle of the bat extending up for 18 inches. I hope this article on the Best Pine Tar has been helpful. I invite you to leave comments below. Hey Doug & PBI, we’d love to get our stuff added to this review. Can we send you one of our sticks? What kind of liquid pine tar do the pros usually use??? I am not sure what Tiger stick is made out of. I go with the product that keeps a good secure grip on the bat. With a lot of pine tar sticks out there, Tiger stick is one of the better ones. Sorry I can’t help you with what its made out of, but I know it works well. Great guide. I use tiger stick to get a good grip on my bat and it works great. But I have a question on what Tiger stick is made of. 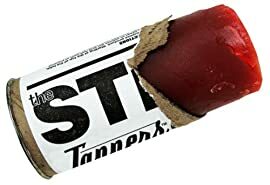 On the official Tiger stick website it states That Tiger stick the the best Pine tar alternative. I wanted to know what it is made of because I couldn’t find it anywhere. Thank you. Thanks for the marvelous posting! I genuinely enjoyed reading it, you’re a great author. I will always bookmark your blog and may come back at some point. I want to encourage that you continue your great work, have a nice afternoon!